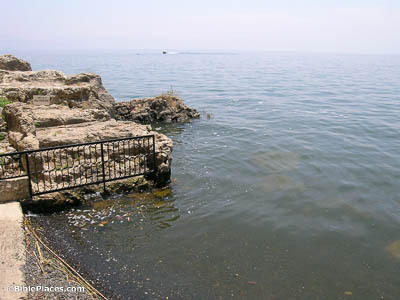 After these things Jesus manifested Himself again to the disciples at the Sea of Tiberias (John 2:1). 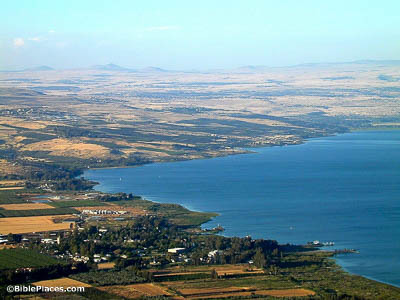 The Sea of Tiberias is just another name for the Sea of Galilee. And it makes perfect sense that Jesus would manifest himself here, since the northern shore of this sea was where he spent the bulk of his ministry. Many of his disciples lived in the cities along this stretch of coast, making this the likely place where Jesus appeared to them. They went out and got into the boat, but that night they caught nothing (John 21:3). 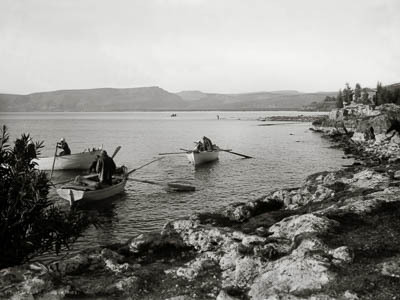 Heptapegon (known also as Tabgha) has long been popular with fishermen because of the warm springs located here. Because of the temperature of the water, algae grows abundantly here, and with plentiful algae comes plentiful fish. Consequently, some believe that the disciples were fishing in Heptapegon when Jesus appeared to them; but even if they were, the usual schools of fish were providentially absent. Jesus stood on the shore; yet the disciples did not know that it was Jesus (21:4). According to some traditions, this rocky outcropping is the place where Jesus stood on the shore to address his disciples. It’s located in Heptapegon, so while it’s impossible to identify a specific rock as the location of this passage, the place it happened might very well be close by. If nothing else, picking a specific rock provides a convenient landmark for pilgrims and tour guides, and a specific visual aid to help our imaginations. 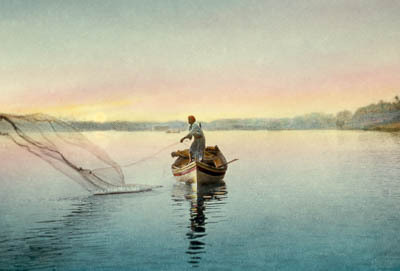 Cast your net on the right side of the boat, and you will find a catch (21:6). The difference between casting a net from one side of the boat and casting it from the other is, in the case of small fishing vessels, a matter of mere feet. Naturally speaking, it’s absurd that there would be no fish in one spot, but plentiful fish a few yards away. But of course, it’s no effort for the Lord of Creation to direct His fish in such a way, as a means of demonstrating His glory. This is the disciple who bears witness of these things, and wrote these things (John 21:24). According to tradition, John lived the final years of his life in Ephesus. It was likely here that he wrote 1, 2 and 3 John, as well as this Gospel. 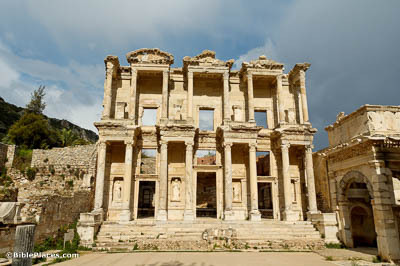 The city is home to his traditional grave, which attracts numerous pilgrims—but by far Ephesus’s most recognizeable structure is this, the Library of Celsus, which was built in AD 110. 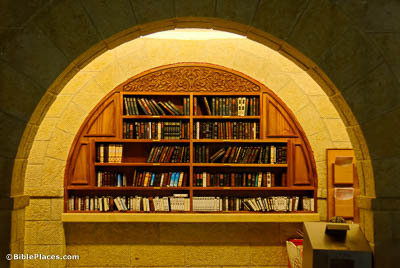 There are also many other things which Jesus did, which if every one of them were to be written, I suppose that even the world itself could not contain the books that would be written (John 21:25). 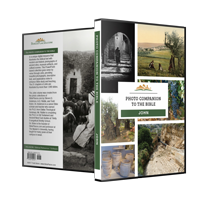 The Gospels do not just describe historical events; rather, they describe a Person. And according to Colossians 2:3, this particular person has all the treasures of wisdom and knowledge hidden inside of him. To explain such a Person would take more than John’s Gospel, and it would take more than the four Gospels combined. As John says, the whole world could be filled with books about Him, and the task would still be left unfinished.